as people want to know exactly where their food comes from, and how it was grown or raised. The Centers for Disease Control and Prevention (CDC) recently estimated that one in six people get sick every year from foodborne diseases. With various recalls and scares, awareness about food safety and origin is becoming more and more popular with consumers. There’s an expanding demand for organic produce and an increased popularity of farmers’ markets, as people want to know exactly where their food comes from, and how it was grown or raised. Until recently, respected brand names were all the assurances consumers needed when making their purchases, but this is no longer the case. Traceability is now at the forefront of shoppers’ minds. While the demand for traceability is growing, the ease at which produce is traced is not. Consumers are asking more from their grocer, and want to ensure that the items they are purchasing has been produced within appropriate parameters. Though it is apparent that there is a need for better traceability and transparency, up until recently there hasn’t been a way to effortlessly provide the authentication for produce. Best of all, we’ve made it easy for the farmers to implement this technology. If you’re a farmer in Mexico, you’re probably much better at growing tomatoes than you are at figuring out technology, that doesn’t matter. GDPs is extremely easy and we work alongside the farmer to make certain the system works at every stage and the information is uploaded properly. We’ve taken the burden off the farmers and completely handle the technical side of things. The goal of GDPs is to make consumers feel confident about the products they are buying. We want them to know exactly where they are coming from and the freshness of each item prior to the purchase. We aim to help the food industry with traceability so consumers are happier, healthier, and more informed shoppers. 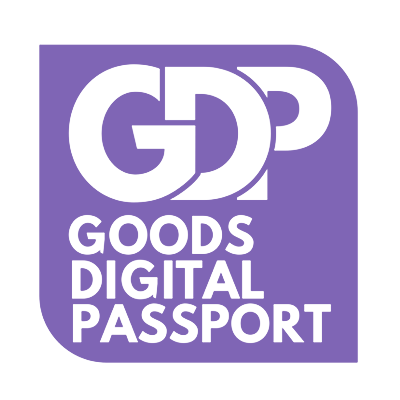 Goods Digital Passport is the future of traceability.